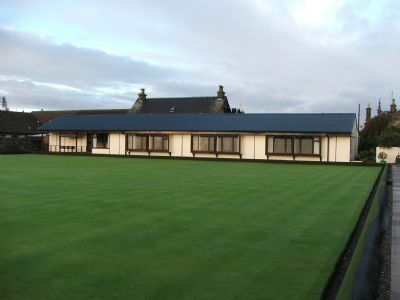 Invergordon Bowling Club was formed in 1899 as part of the town's celebrations for Queen Victoria's Jubilee and is the oldest bowling club in Ross-shire. The club was one of the founding members of the Northern Bowling League and has taken an active part ever since providing office-bearers including President and Secretary/Treasurer. The original clubhouse, costing £48-10s., was in constant use until the clubhouse of today was built in 1983. This gave the club the ability to take up short mat bowling in the off-season and join the Black Isle & District Indoor Bowling League allowing competition and fellowship with other short mat clubs in the area. Shortly after the founding of the Northern Women's Bowling League in 1974 the club joined and has actively taken part since. Club nights are held on Tuesday evenings during the outdoor season, and Monday evenings during the indoor season when anyone interested is made most welcome. Currently the club has an SBA registered Club Coach and an Umpire. Invergordon Bowling Club was part of a community group involved in the set up of one of the murals sponsored by 'Invergordon Off the Wall'. The mural concerned depicts a century of sport in the town and includes golf, tennis, cricket, bowls, football, rugby, swimming and sailing. If you wish to find out more about the murals follow the link to Invergordon Off the Wall on our links page.